This little area of the parking lot shows intersecting white lines that show their age. The wrinkle crack impressed itself on the pavement after the line was painted, since it disrupts the white of the line. 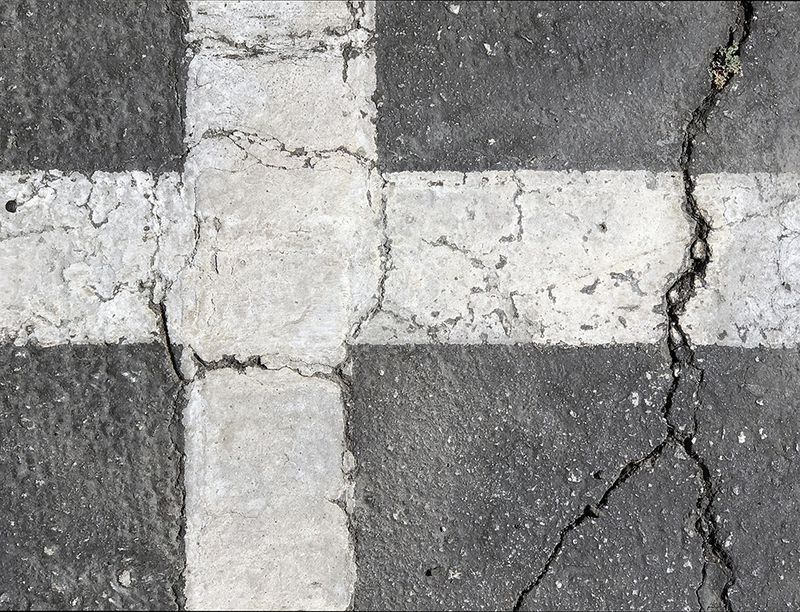 This entry was posted in Personal Stories and tagged abstract art, abstract photography, artistic process, cracked pavement, creative process, creativity, parking lot, photography, street photography, white lines. Bookmark the permalink. This series is growing into a collection that I really like and look forward to seeing new entries. I am also paying more attention to paint under my feet these days.